Warrior just broke the decade-old record for the Vineyard Race, finishing in 17 hours and 42 minutes! 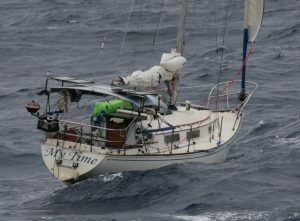 The previous record was set in 2007 by Blue Yankee recorded in 2007, and the 2017 race was one of the most competitive in memory, with a record number of participants and a quick trip for the fleet. Why is this boat important to sailing? The boat is owned and operated by the USMMA Sailing Foundation. In 2016, a long-time supporter of the Sailing Foundation’s programs was inspired to make a ‘needle moving’ donation to support the successful Warrior Sailing Program. 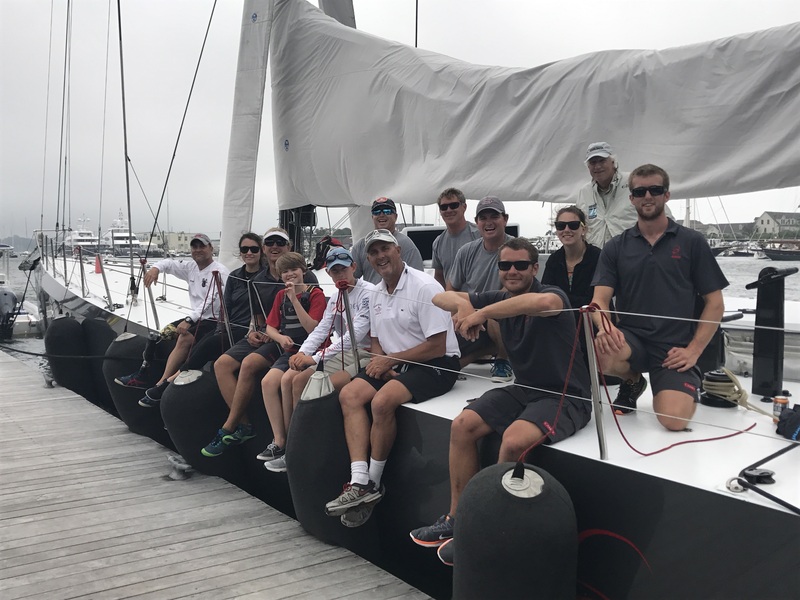 The Murray family (owners of the Decision team) donated to ensure a future offshore racing pathway for the 250+ wounded, ill, and injured military service members who have graduated from Warrior Sailing since 2013. The donation resulted in the foundation’s acquisition of a modified Volvo70 that has been crushing some records and providing offshore sailing experience for warriors and youth sailors. With more events on the horizon, the Sailing Foundation under the leadership of the legendary Ralf Steitz, is looking to transition more graduates of the warrior sailing program onto offshore race boats. Warrior was also seen last week taking youth sailors out to watch J-Class worlds in Newport. 2016 warrior sailing graduate Josh Agripino was onboard for the Vineyard race as well as youth, and Kings Point sailors. Also onboard for the record breaking event was young Griffin Spinney. Griffin’s father, Lat, was crew onboard Blue Yankee that held the previous record for 10 years. I guess the young man will have some stories to tell when he gets home! 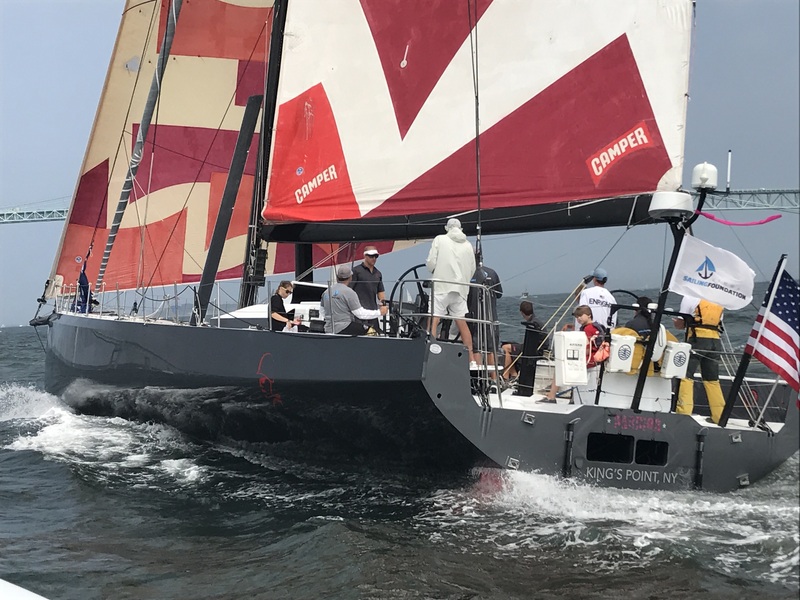 Big shout out to Joe Cooper who raced with another program supported heavily by the Sailing Foundation, the Young American Big Boat Team racing on a J105. This young team from American Yacht Club is another proven model to get youth sailors introduced to offshore racing. The next event on the warrior calendar is the Sail for Hope in Newport, RI September 30th. The proceeds from this event go directly to the warriors by providing basic camp, advanced camp, and offshore sailing opportunities. Go sign up and join us at the end of the month! You can also donate to our cause.